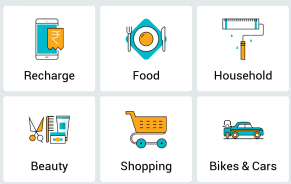 HelpChat app – An amazing mobile app which lets you to clear your concerns, make recharges and ask experts for adversary supports, Order food, Shop online or even it helps you to buy certified cars and bikes in your area. You all must have heard about Akosha Mobile app – HelpChat is a product of the same industry! So trust is there for sure! Helpchat app is now offering Get Rs.10 Cashback on Recharges and bill payment of Rs.100 or more. Can be used once per User/Device/Number. How to get the Offer ? Now you will be asked to fill your account details > Do so and continue. Enter all the required details including operator, number & amount. On successful transaction, you will get Rs.10 as a promotional Cashback for free, Use it for any other available service on Helpchat app!! Cashback will be credited immediately.